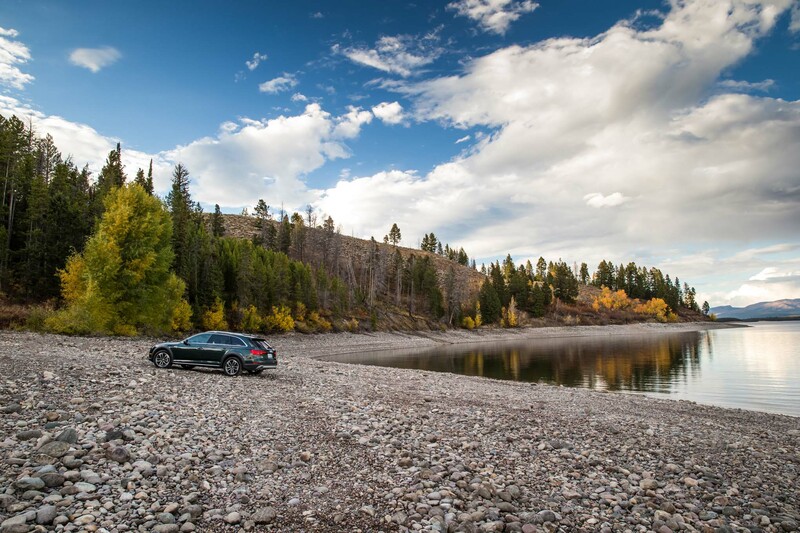 Let’s hear it for going to a lot of bother over almost nothing. 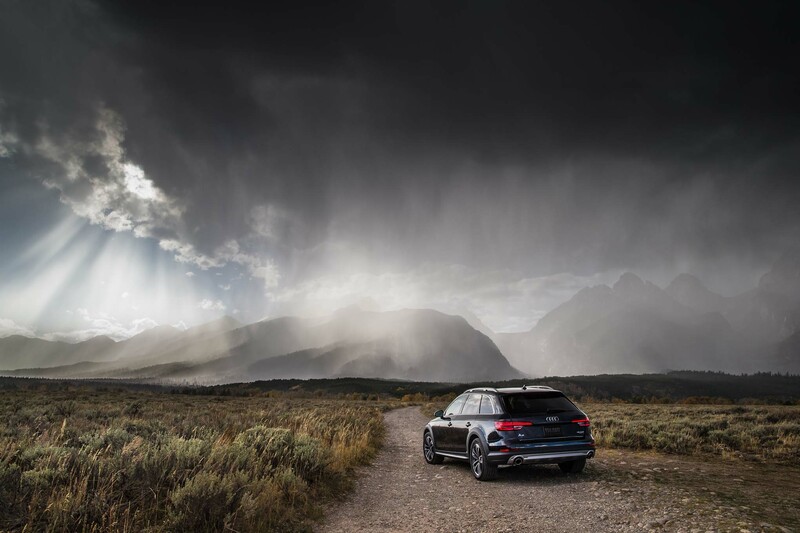 JACKSON HOLE, Wyoming — Anthony Garbis welcomed the rain and snow. 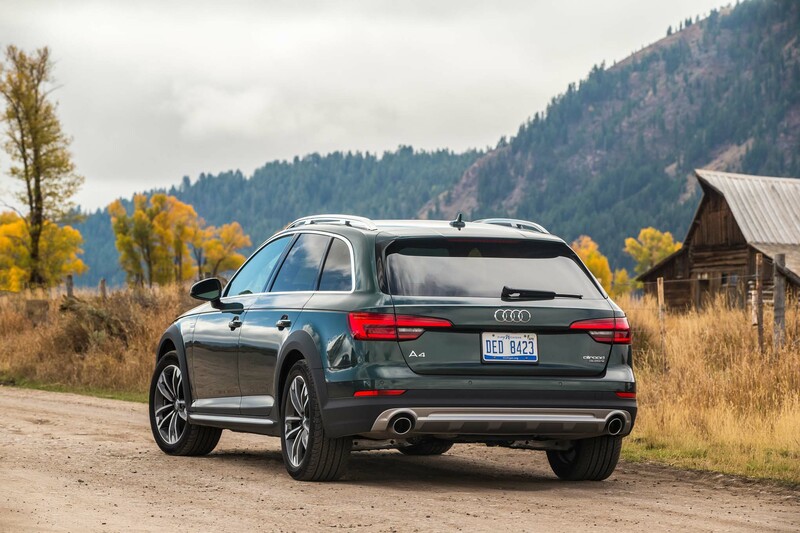 As product planning chief for the 2017 Audi A4 Allroad, Garbis had brought an armada of the thoroughly revised wagons for a press preview, and an early winter storm was giving him the opportunity to show off the Allroad’s new all-wheel drive system, five driving modes, and revised 2.0-liter turbocharged four-cylinder engine. 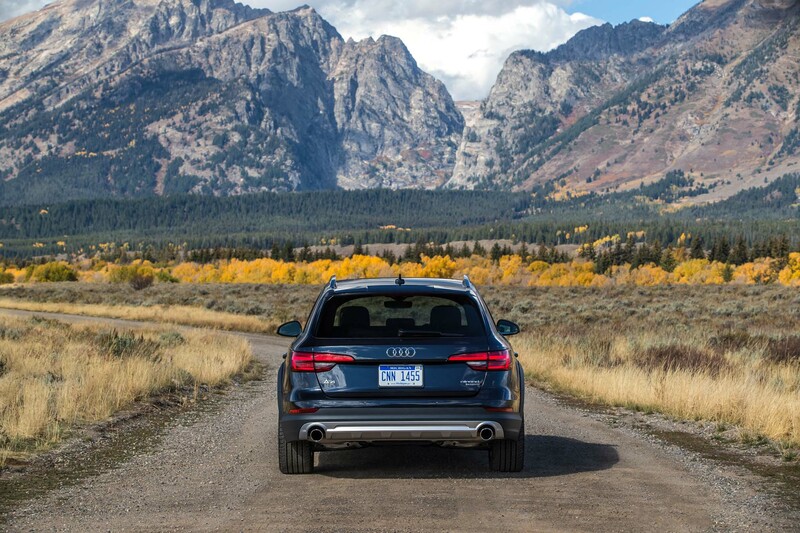 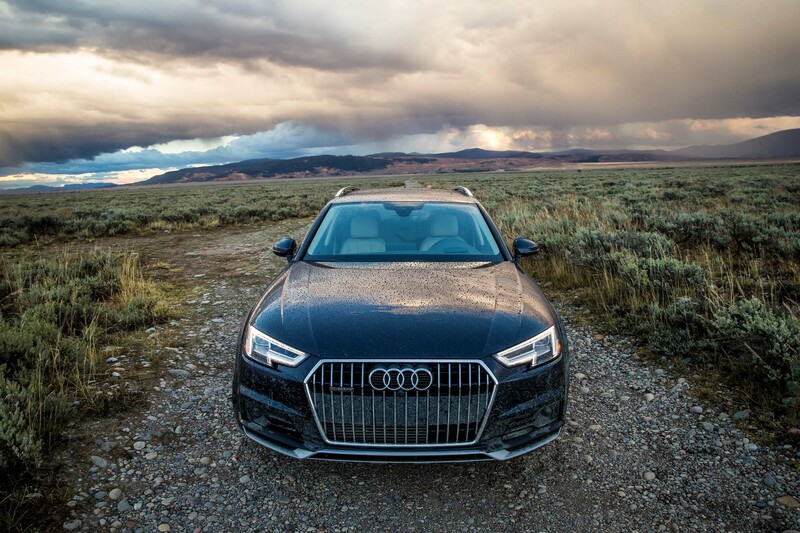 Coming to western Wyoming also gave him the opportunity to demonstrate something as basic as why Audi bothers to refine this niche product. 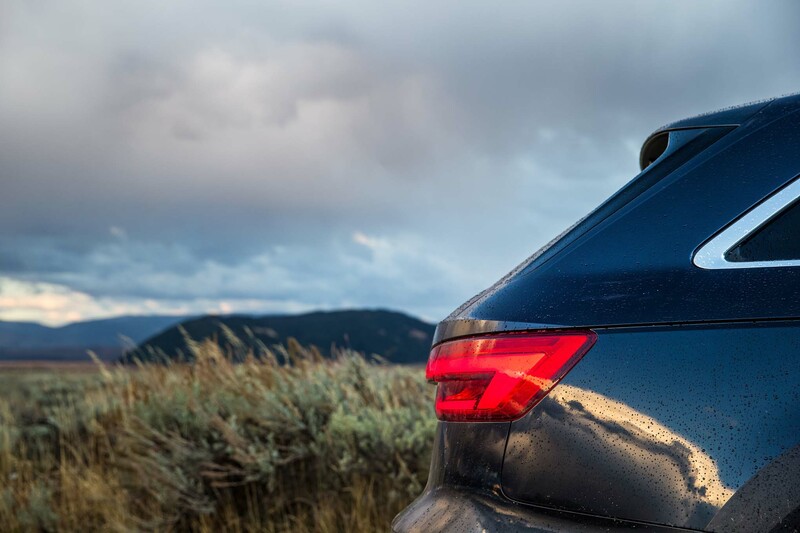 It sold about 3,500 units last year, just a bit more than one day’s worth of sales for Ford’s F-Series pickups. 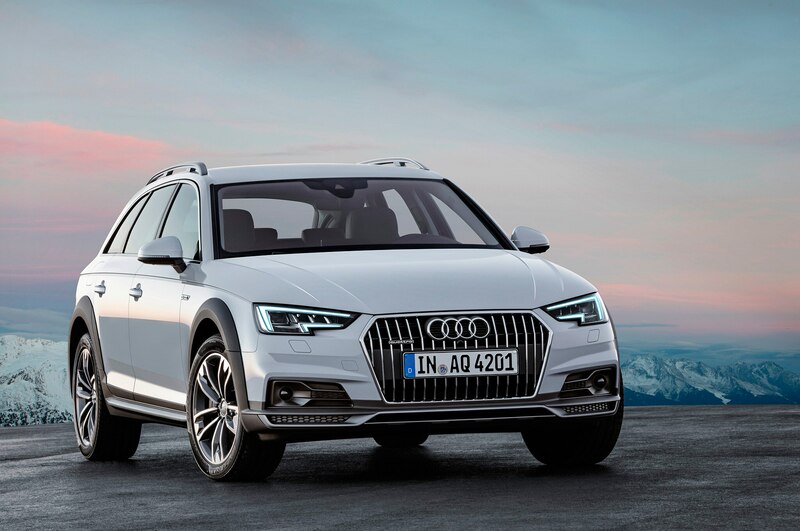 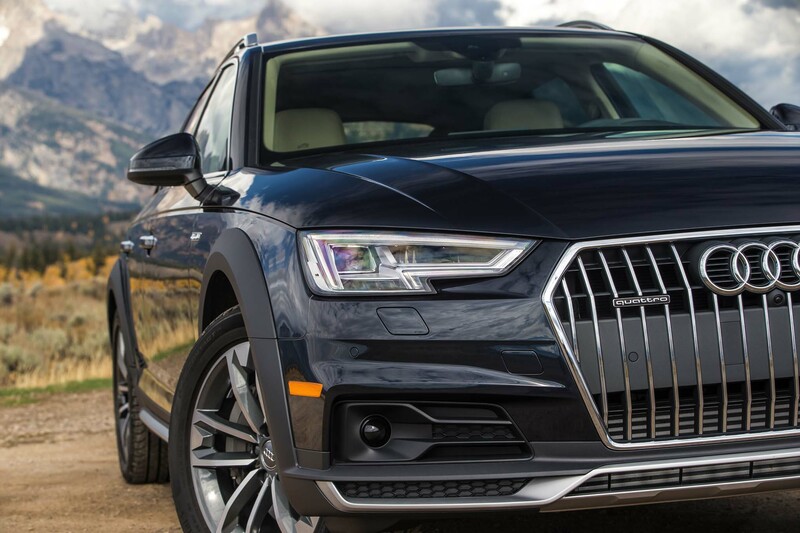 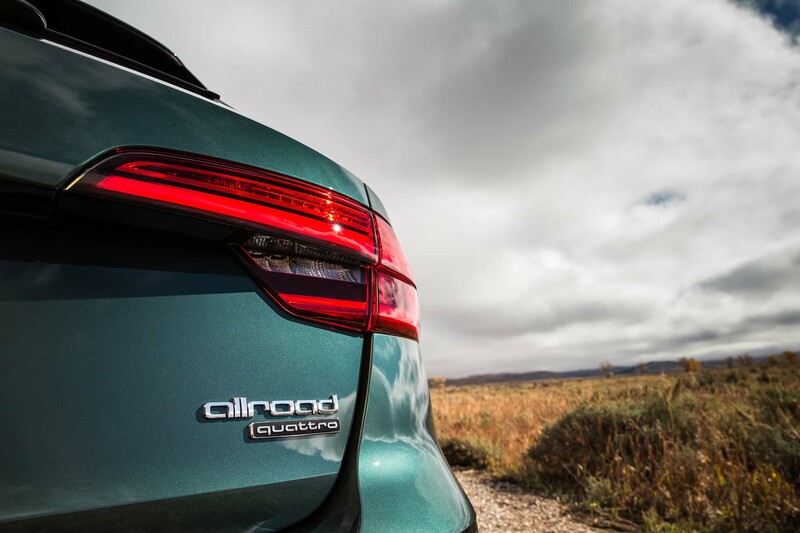 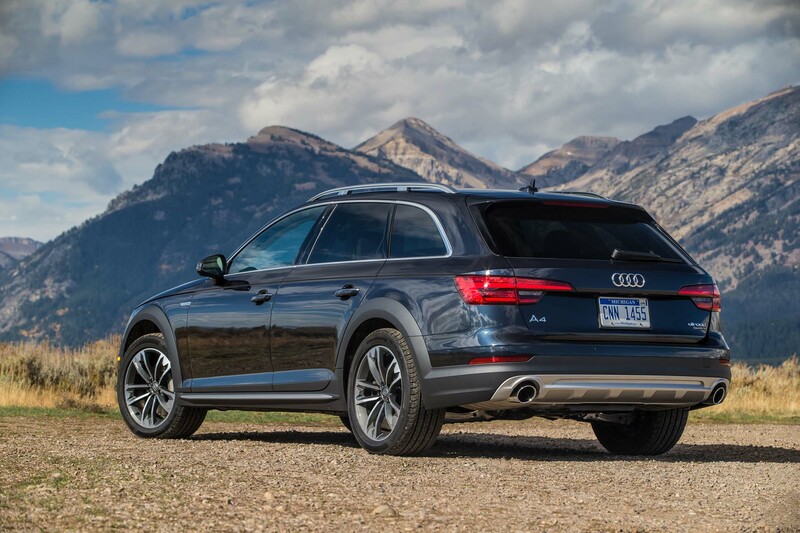 “The Allroad is one of the things that defines Audi,” Garbis said. 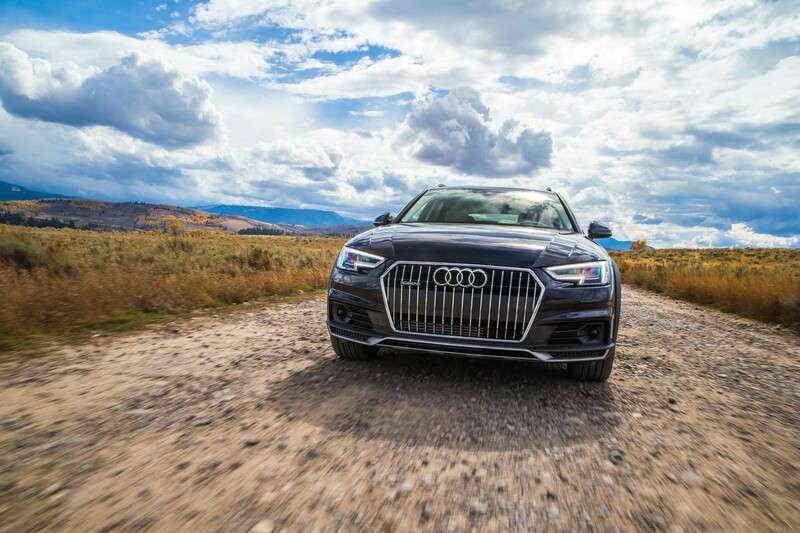 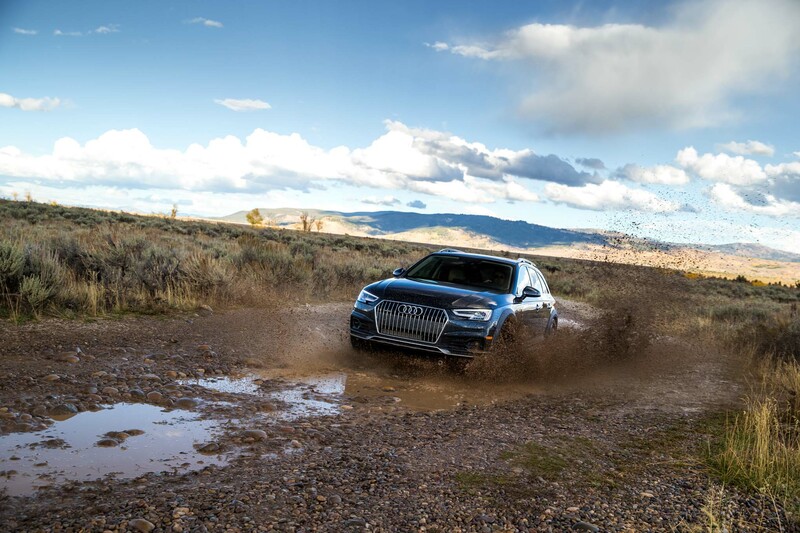 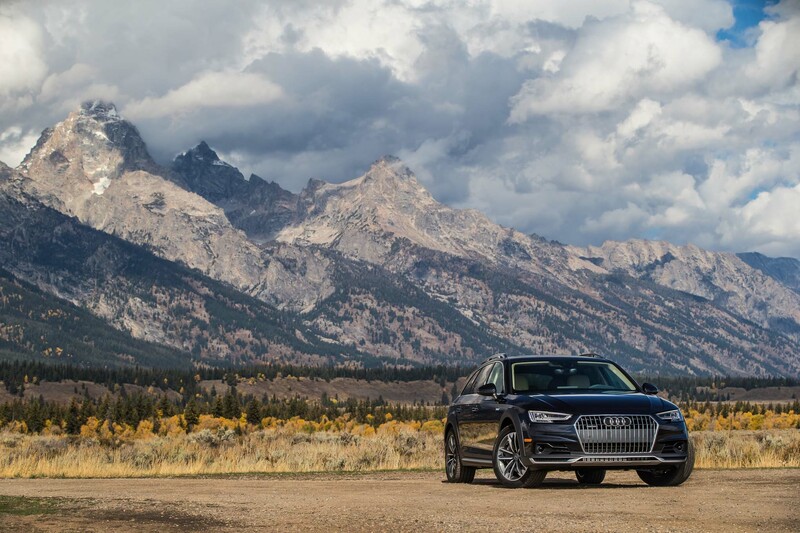 “It’s something a little bit quirky.” Indeed, when we think of Audis, the rally cars come first to mind, and here on the narrow and muddy McDougal Gap road in the Wyoming Range, we’re playing rally driver. 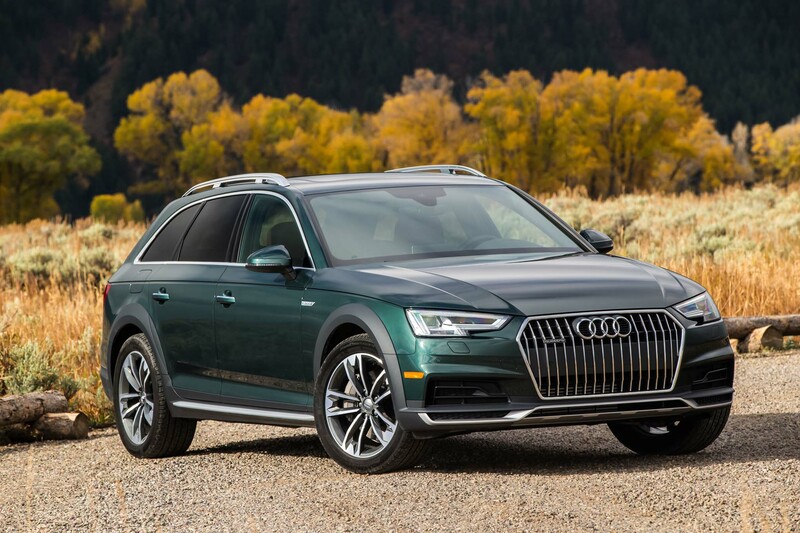 In Premium Plus trim, the A4 Allroad is a bit heavy at 3,825 pounds, and the fancy 12.3-inch virtual cockpit must have come from a planetary lander, but otherwise the car is well-suited to the task. 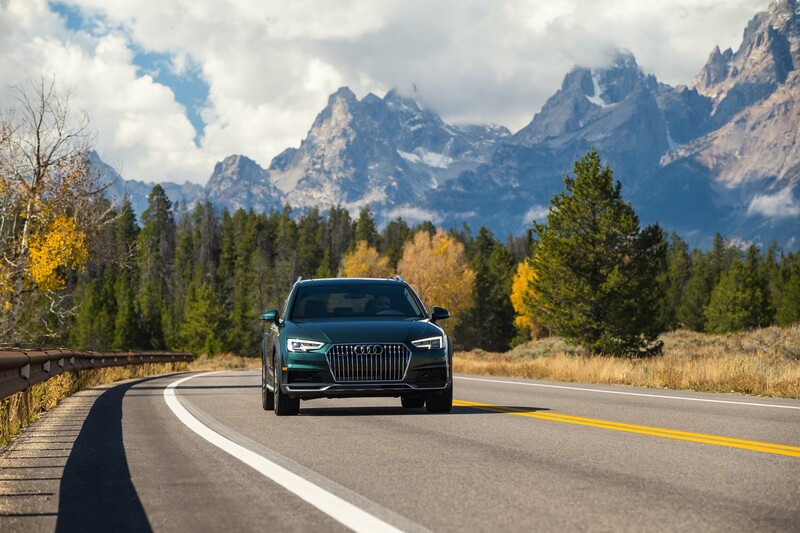 In fact, a heart-in-mouth moment proves just how well-suited: We go bombing into a curve only to find—surprise!—a wide-load truck and flatbed doing yoga. 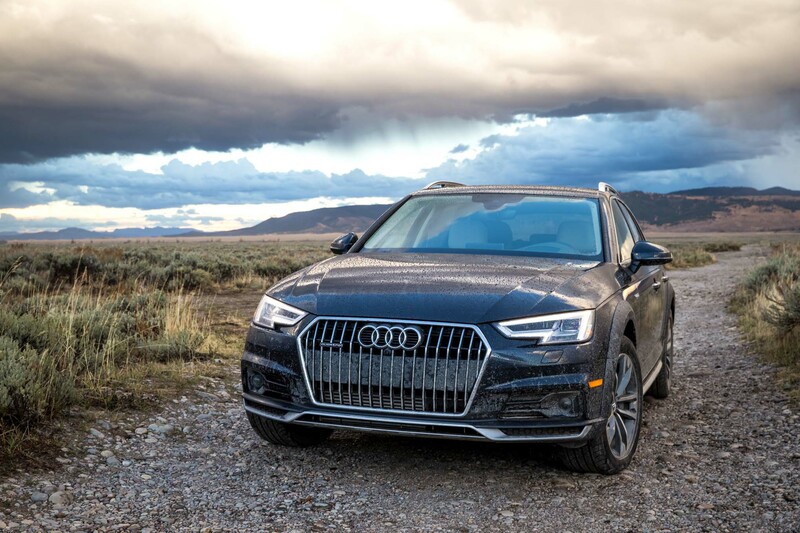 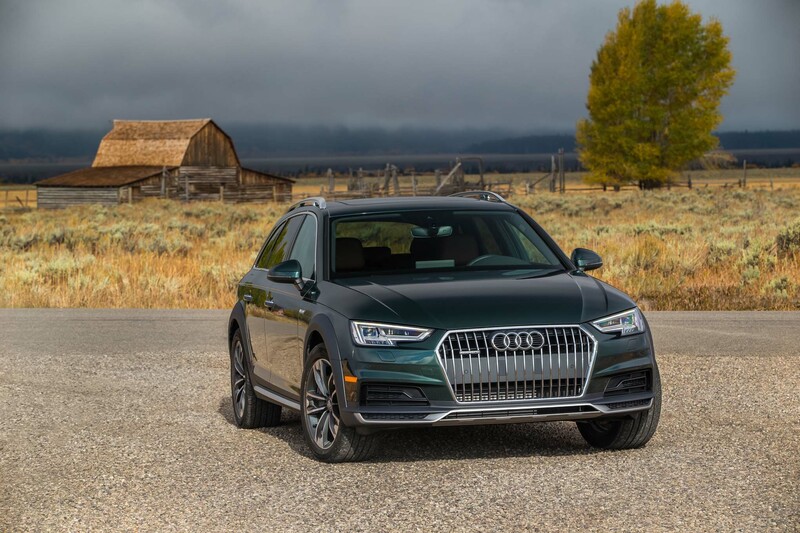 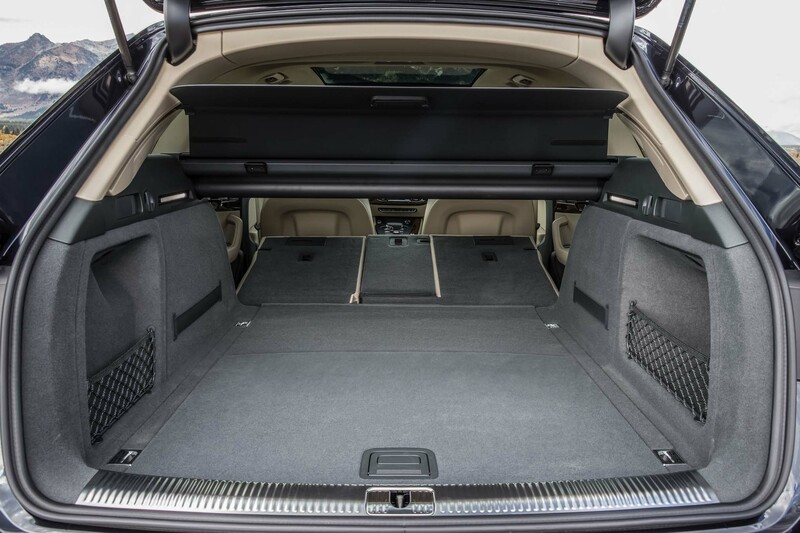 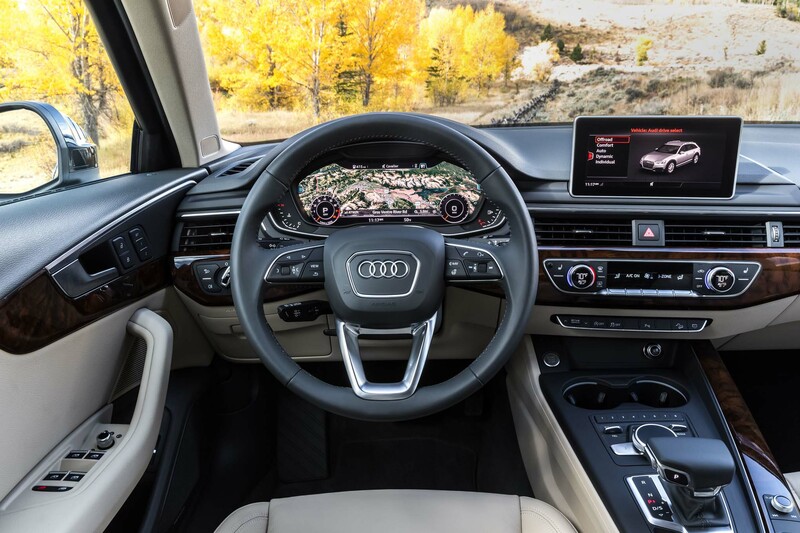 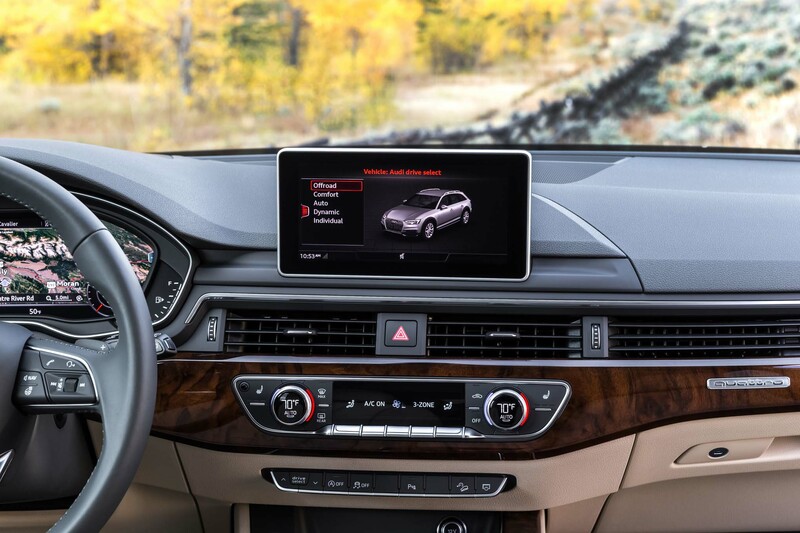 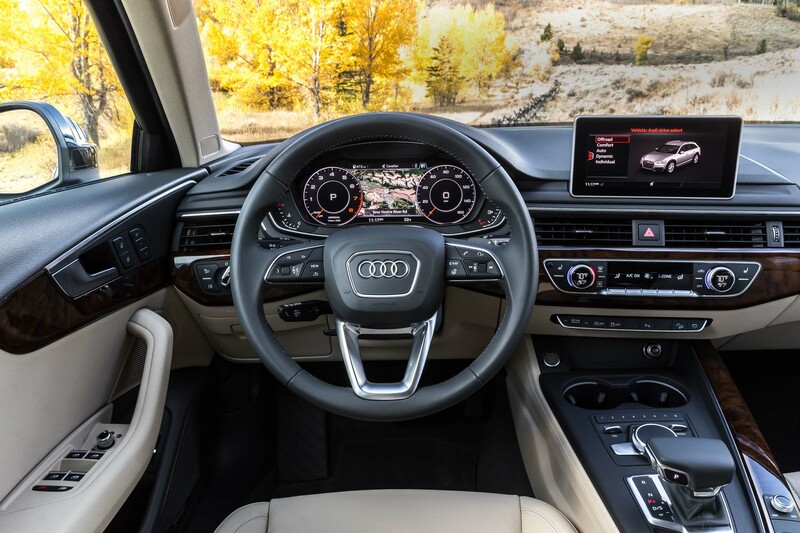 The A4 Allroad measures 187.0 inches long, 72.5 inches wide, and 58.8 inches tall, and the Audi connect Prime & Plus feature is already calling ahead for a coffin in just those dimensions. 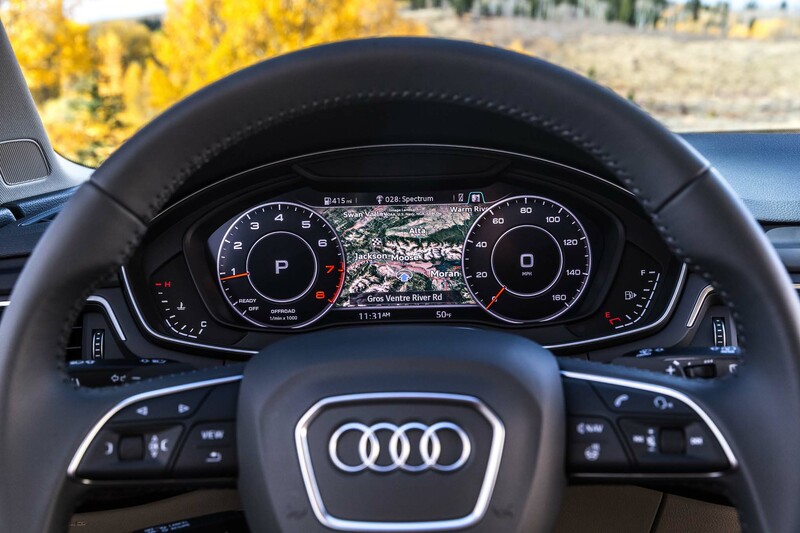 But we’ve selected the “dynamic” driving mode, which delivers laser-sharp steering and a certainty of wheel placement thanks to the adjustable suspension. 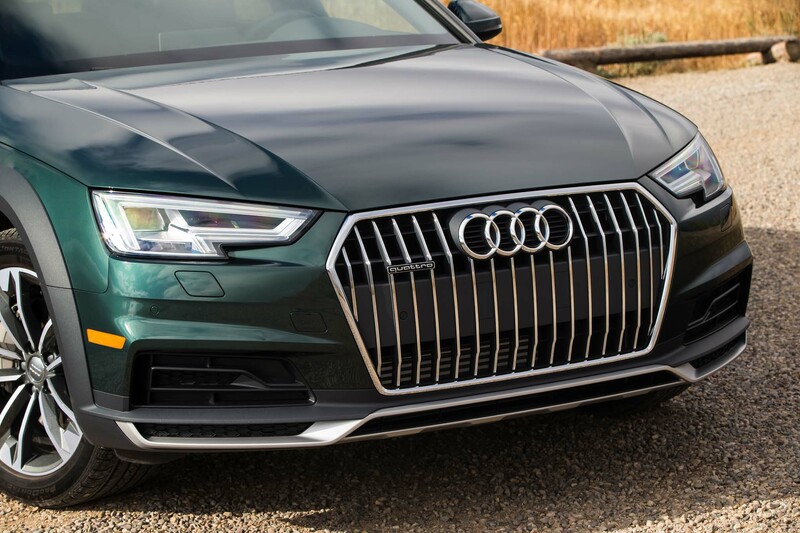 Records to be made available in the Sublette County Historical Society museum will show we managed to avoid scraping off the left side’s Gotland Green metallic paint by 0.7 inch. 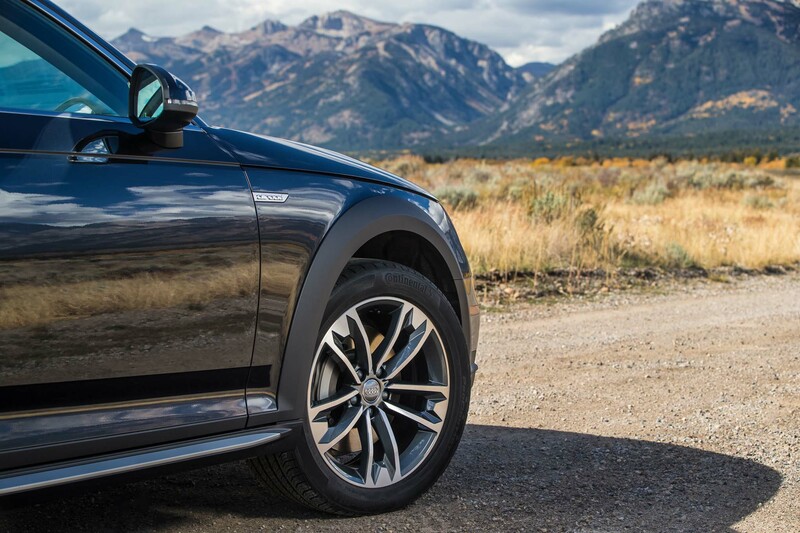 And that was without lifting. 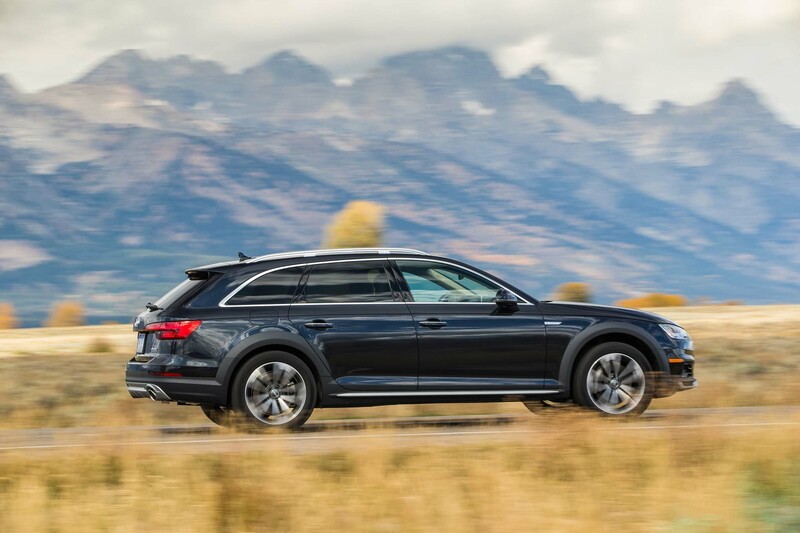 Here’s the thing about the A4 Allroad: As full as it is with effervescent electronics and dandified luxuries, it’s fundamentally about a great drivetrain, really good brakes in case the extra 0.7 inch isn’t there, and a chassis as composed as a cloistered nun. 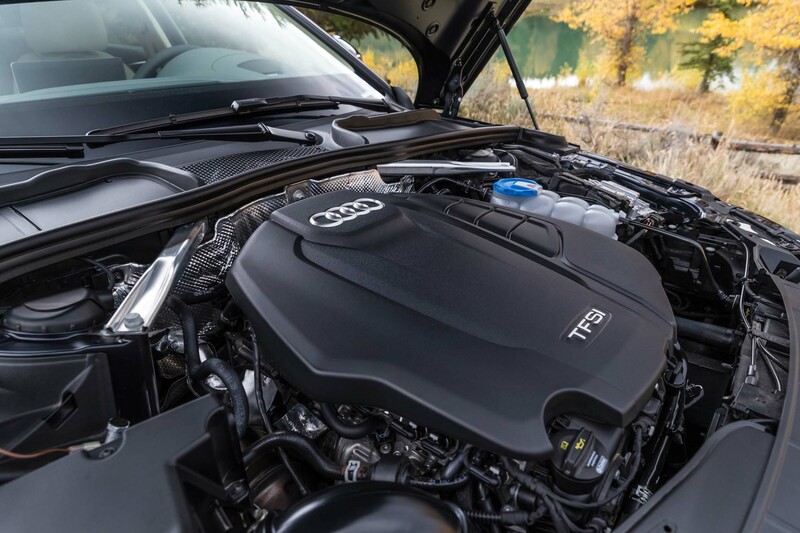 This is a car with 252 hp and 273 lb-ft of torque available right now. 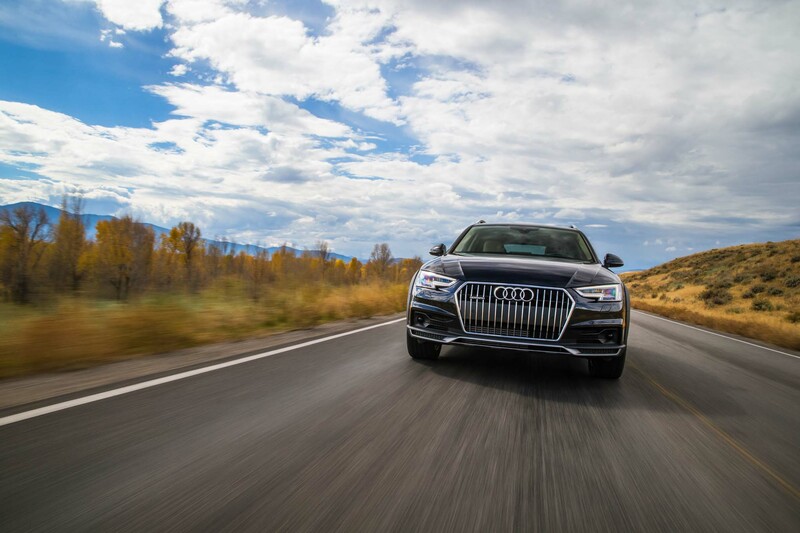 It gets up and goes (0 to 60 mph in 5.9 seconds). 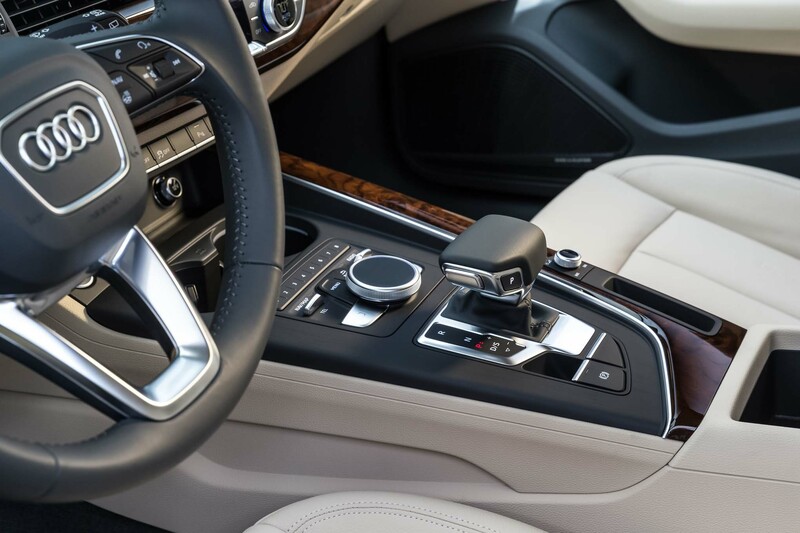 The seven-speed dual-clutch automatic changes gears invisibly, as if it’s moving back and forth between time zones and power goes down effortlessly, as if Quincy Jones is laying down the mixes. 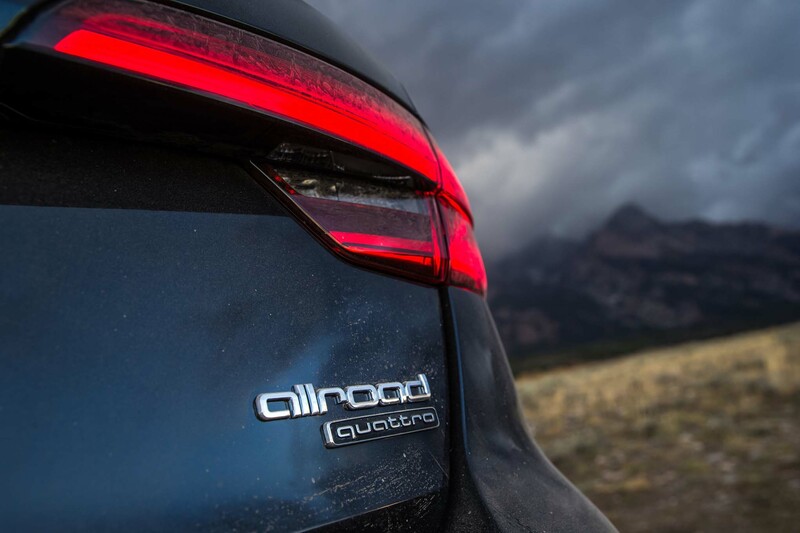 “Ultra technology” defines the new Quattro all-wheel-drive apparatus. 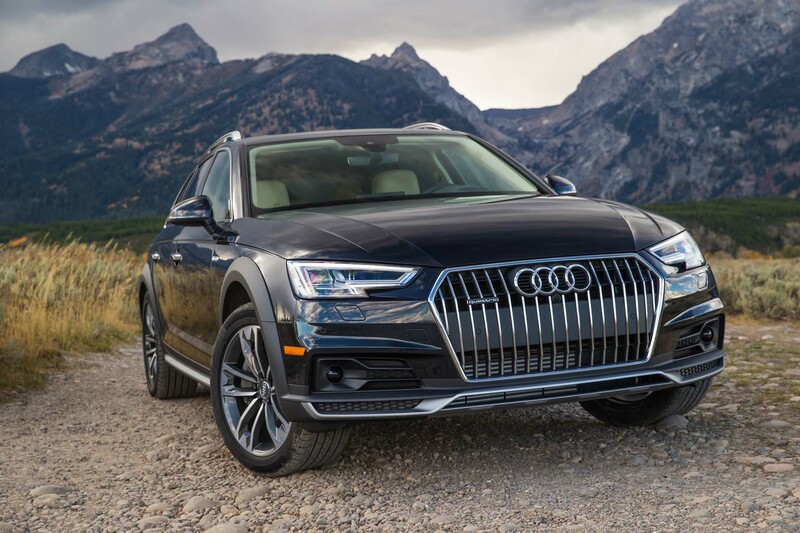 To achieve its legerdemain, it makes do without a center differential, achieving fully variable torque splits by electronically regulating the clutches with evident foreknowledge of events and conditions instead. 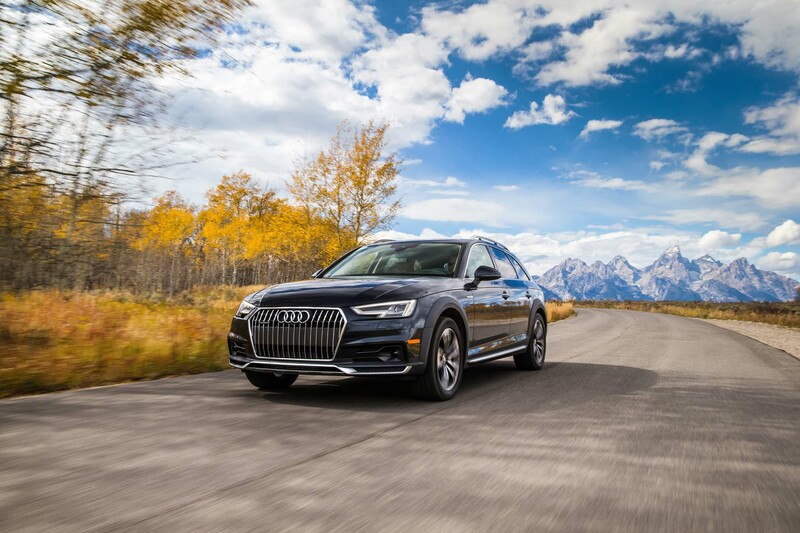 For the sake of fuel efficiency, the system operates on dry pavement as a front-drive car, disengaging the rear wheels and reducing friction losses. 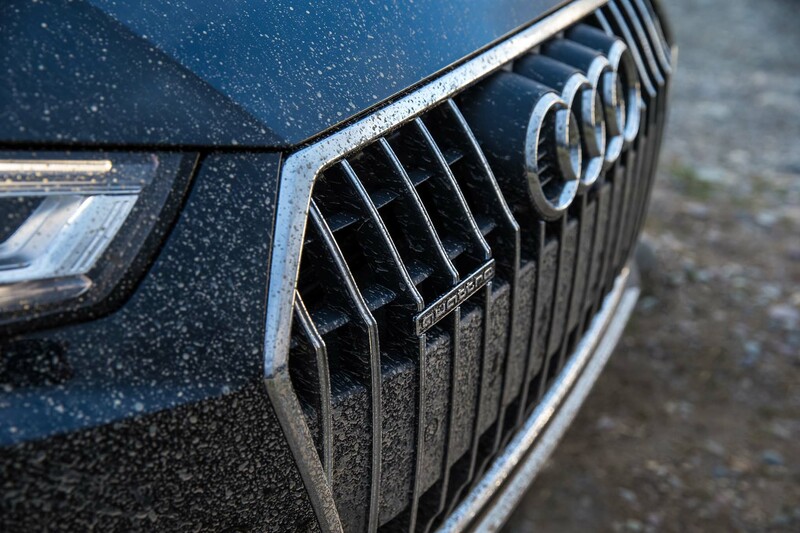 Yet it operates fast; even when we buried the throttle in slush, the car hooked up without a squirm or wiggle. 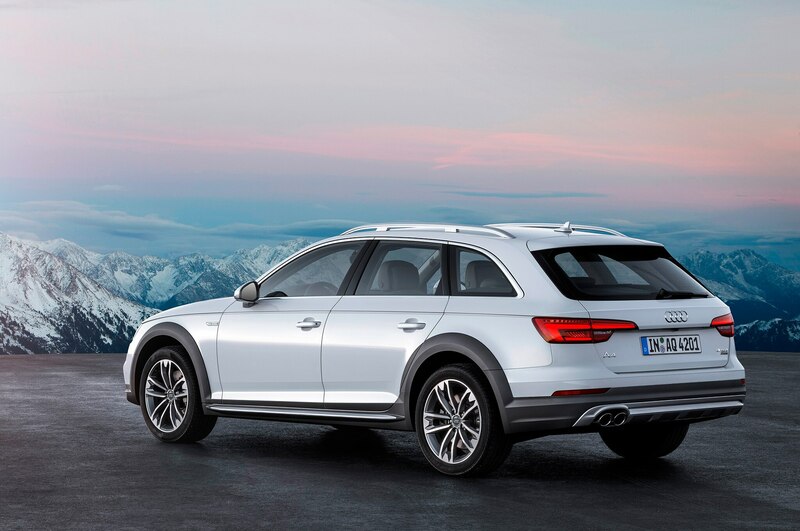 Garbis used the word quirky without meaning to imply hardship. 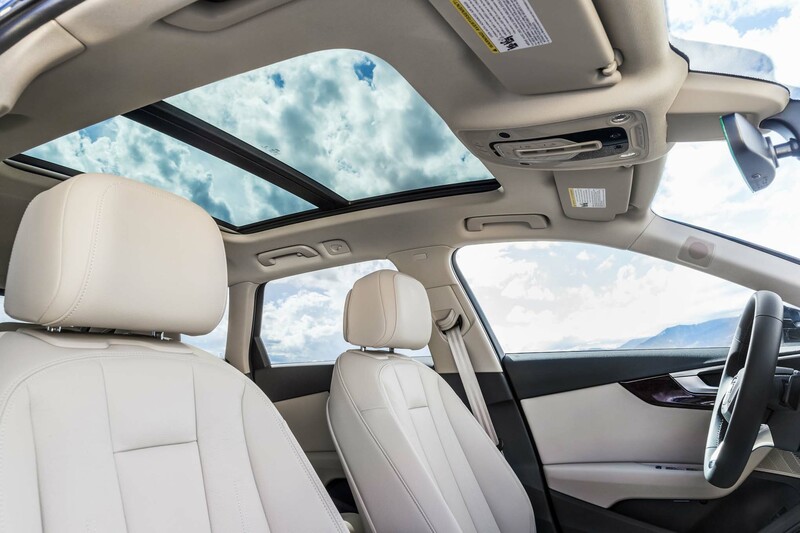 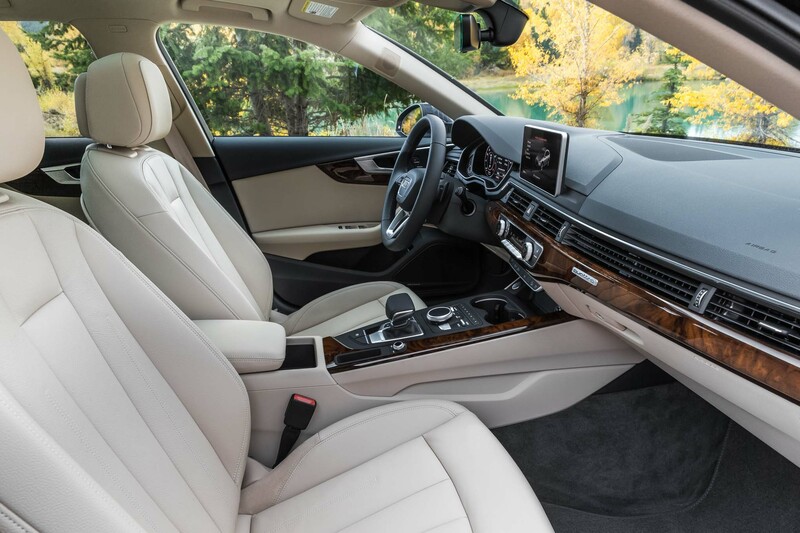 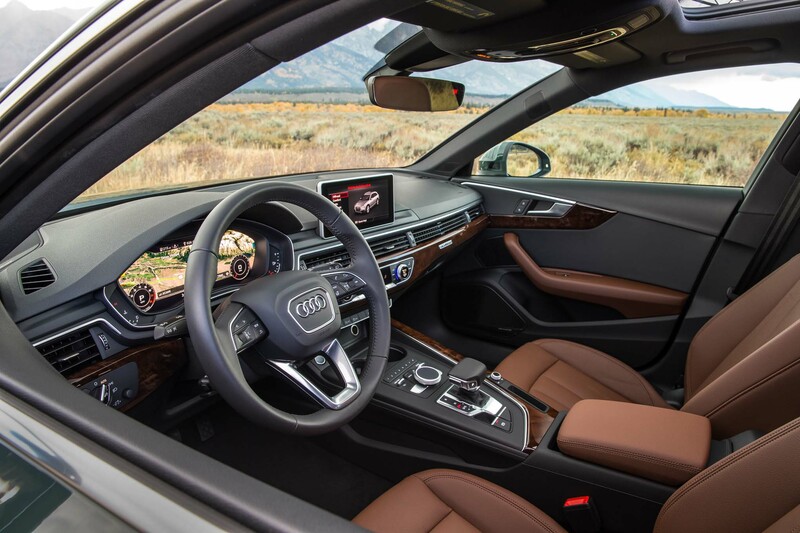 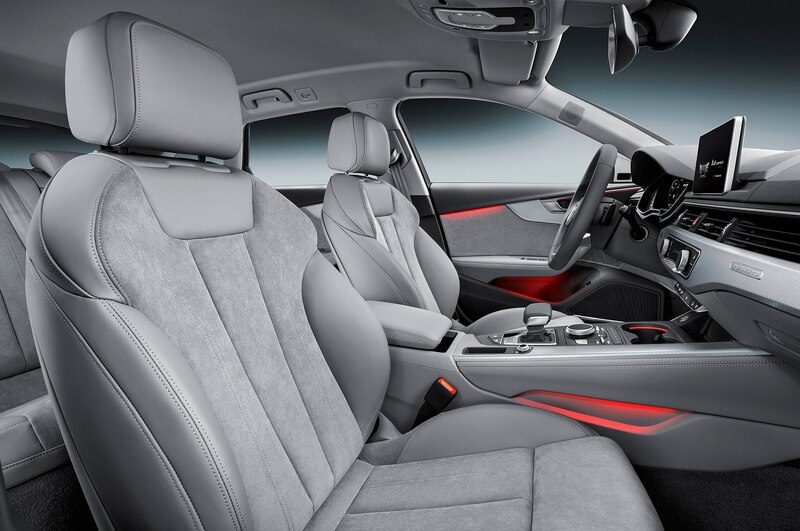 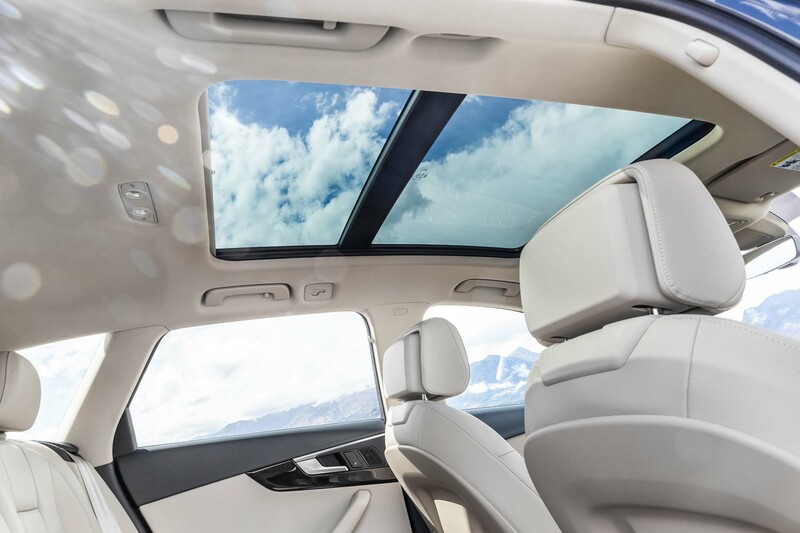 Standard features include leather upholstery, panoramic roof, three-zone climate control, eight-way power seats, keyless start, and shift paddles. 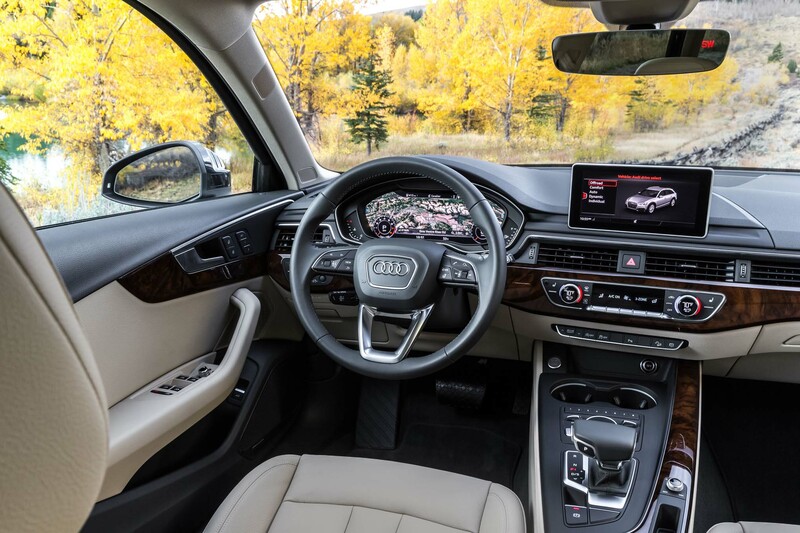 The Premium Plus package ($3,000) adds a 19-speaker Bang & Olufsen stereo, heated front seats, and more; the Cold Weather package ($500) comprises heated rear seats and a heated steering wheel. 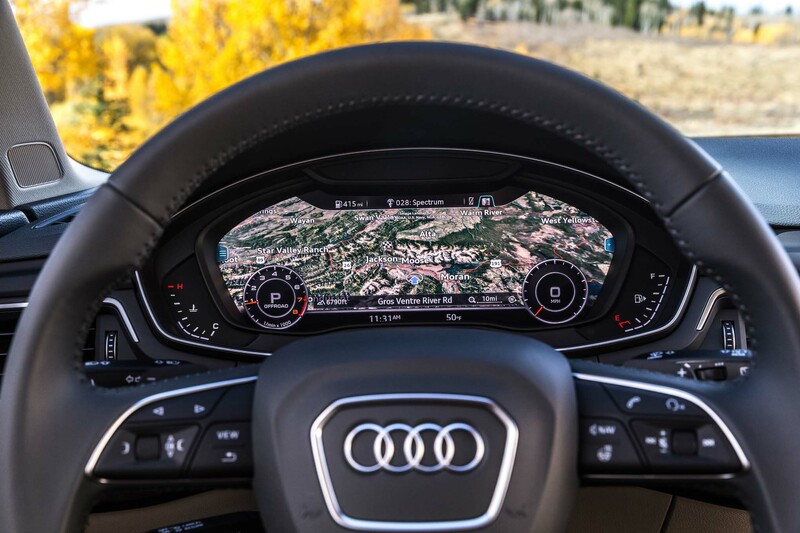 Pure wizardry is supplied by the configurable virtual cockpit, allowing the driver to change between navigation display, speedometer, and other screens just as in a Lamborghini. 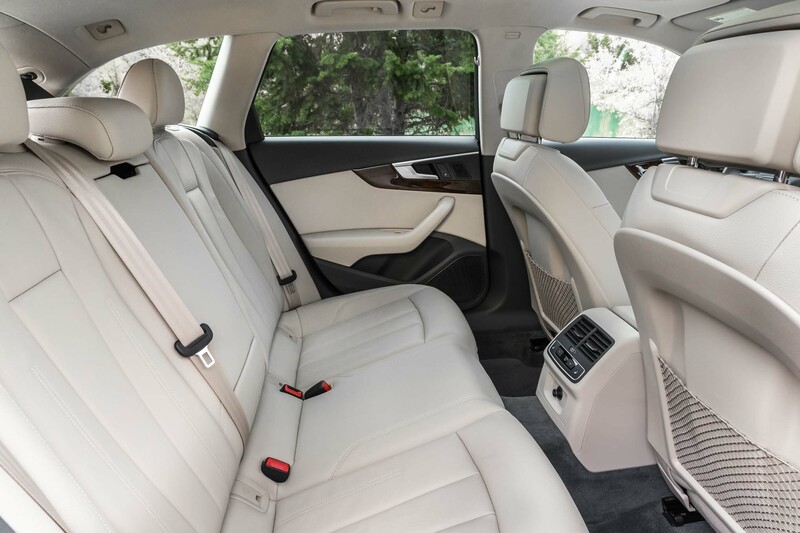 Otherwise, the interior is conventionally attractive, although we would have exchanged the glossy walnut inlays for open-pore anything. We also drove the A4 Allroad with the $4,400-more-expensive Prestige trim level, which had a head-up display that managed to be too much in view when we crested a 10-percent grade. 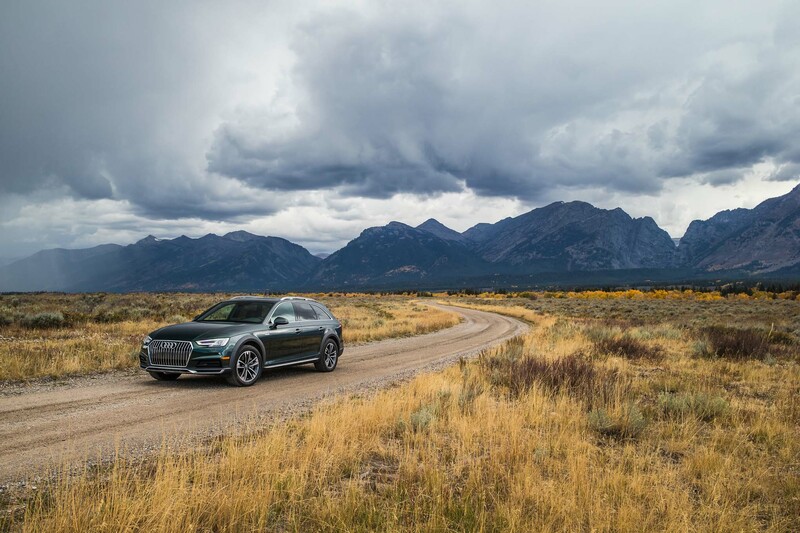 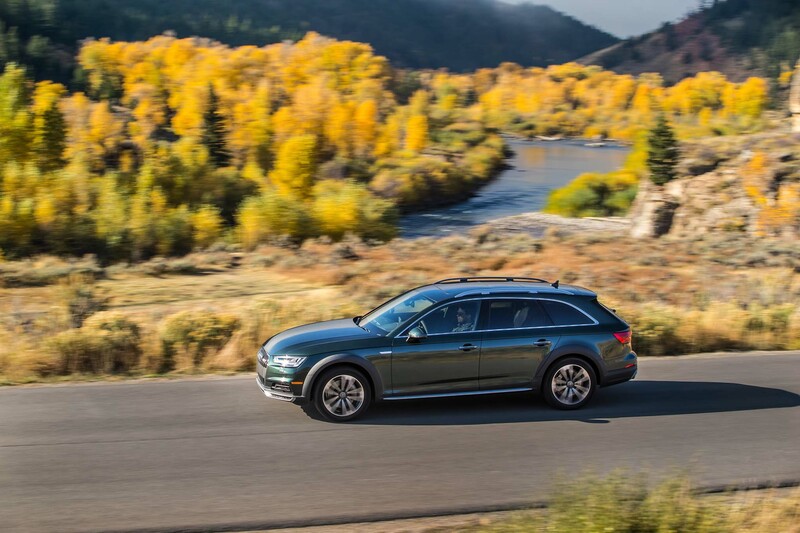 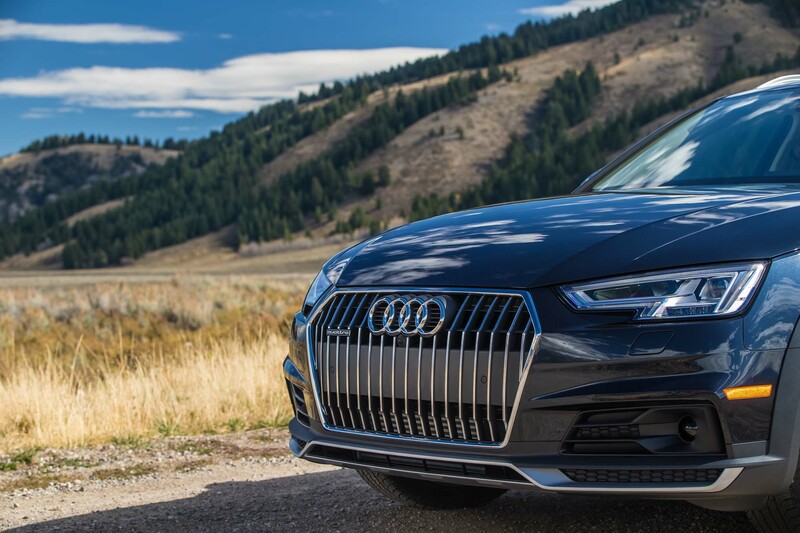 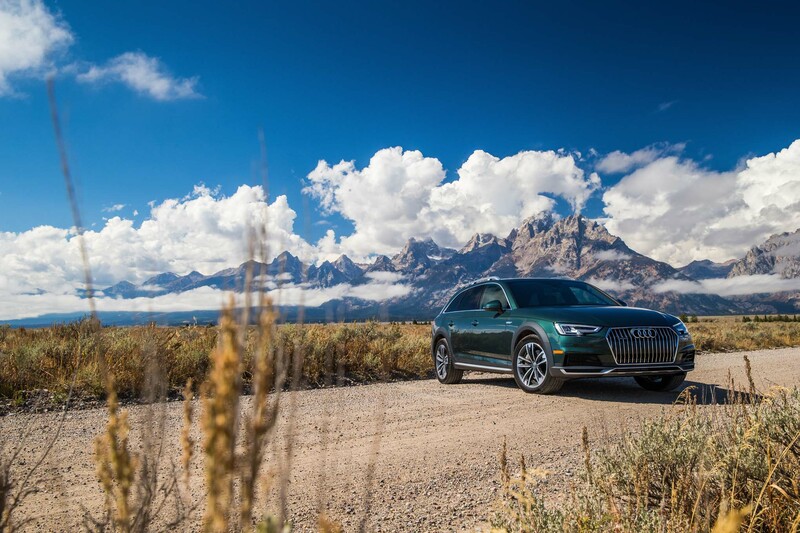 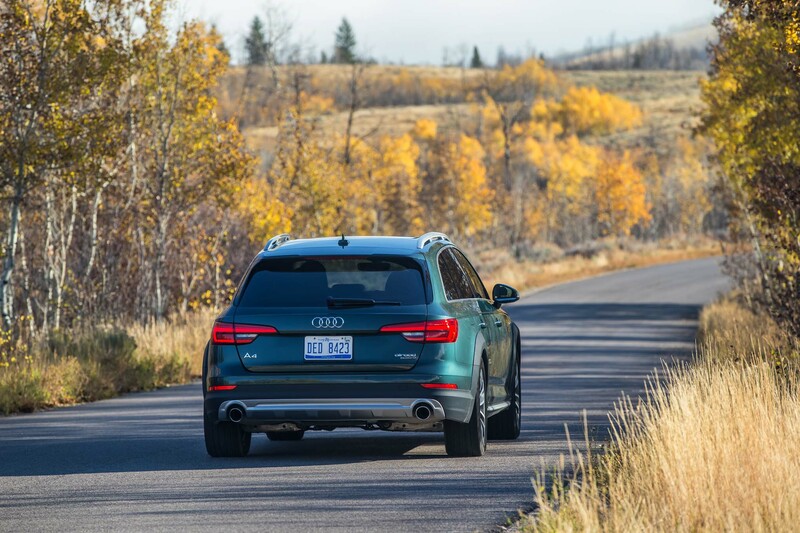 Overall, the A4 Allroad is quiet and comfortable, and our long day on the road was almost like a spa treatment even after one national park, several sectors of the Bridger-Teton National Forest, parts of three counties, and more sage bushes than Paul Bunyan’s bookkeeper could count. 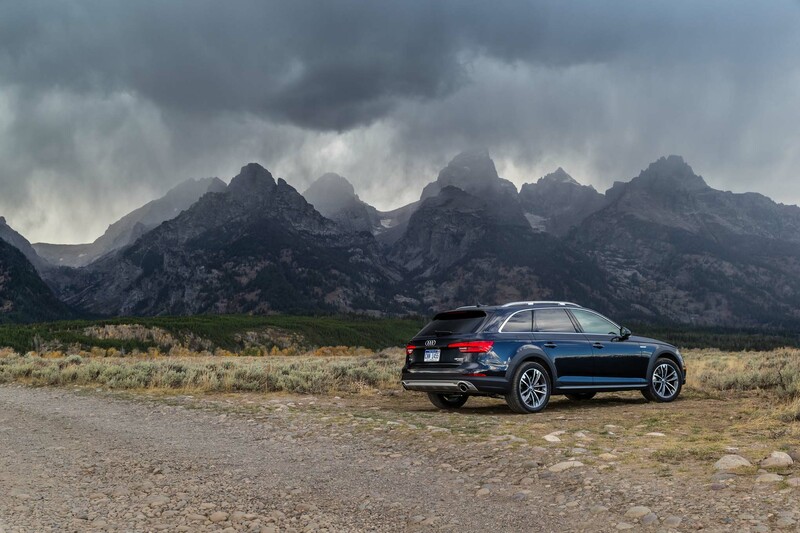 We even went over a snow-stricken 8,431-foot pass that wasn’t on Anthony Garbis’ driving route, and we never wished that we were consuming fuel at the rate of 14 mpg in some gargantuan SUV or crossover-ish example of conformity. 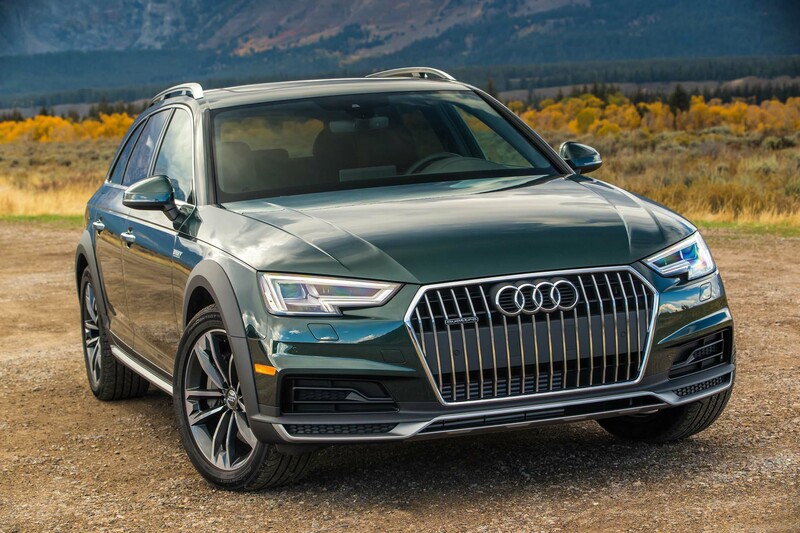 “It is very European—this is as European as you can get,” Garbis said. 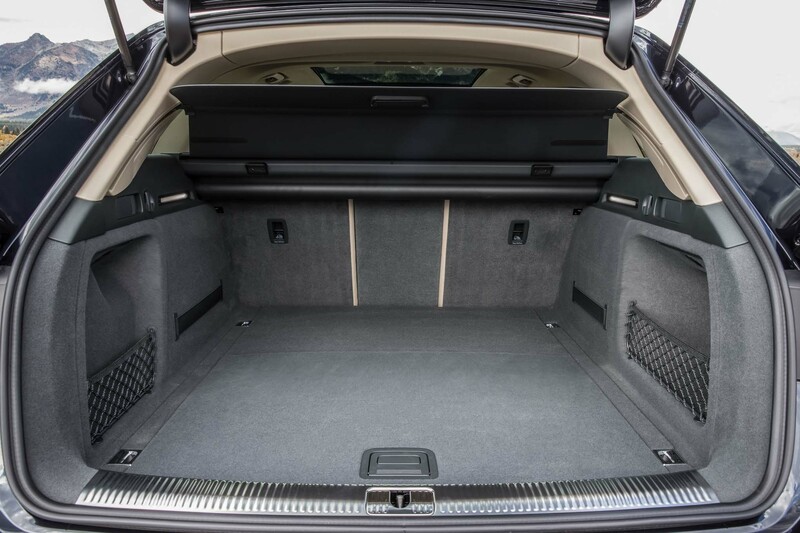 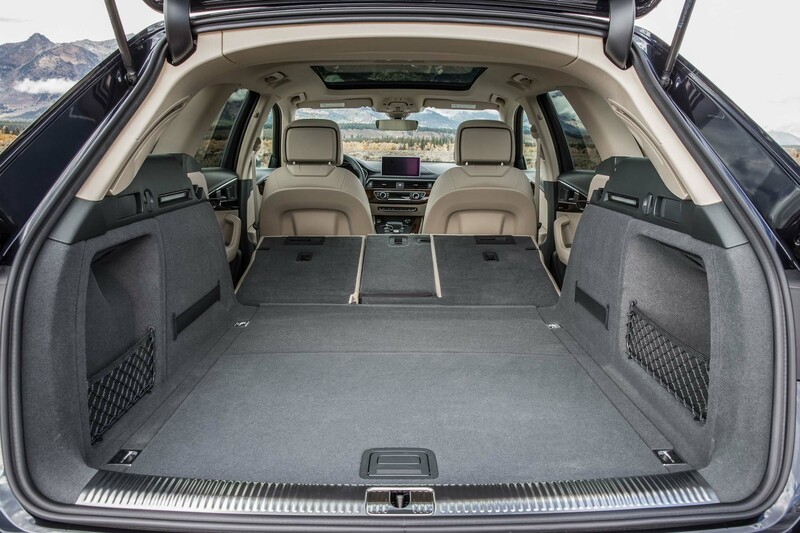 “It’s also the only wagon we sell in the U.S.” With rear seats folded, there’s 58.8 cubic feet of goldendoodle room. 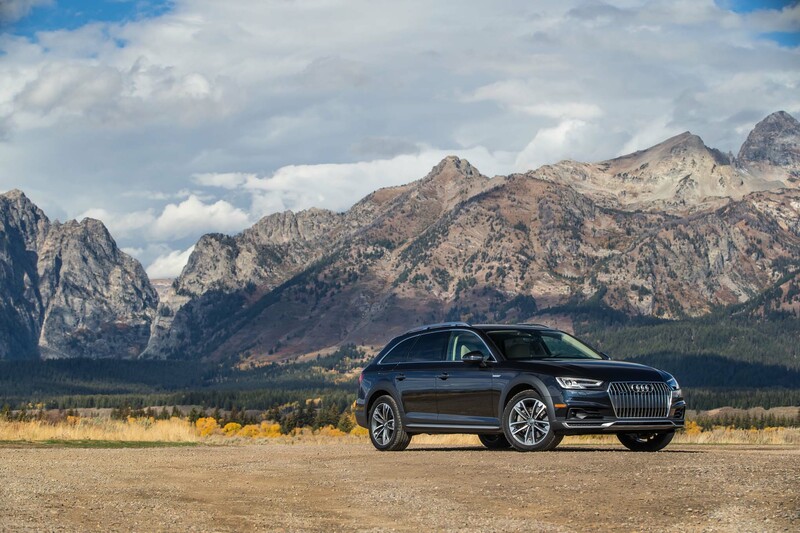 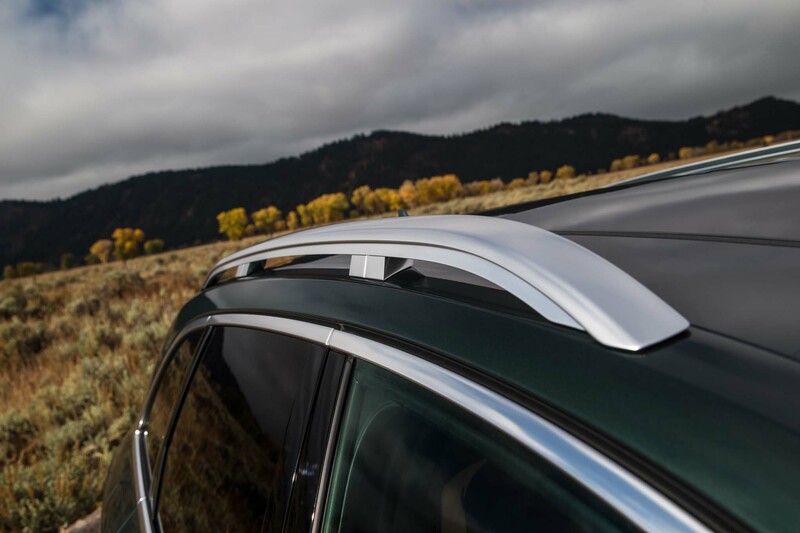 Of course, the A4 Allroad is susceptible to rack attack, in which case it would carry kayaks, skis, or fly rods. 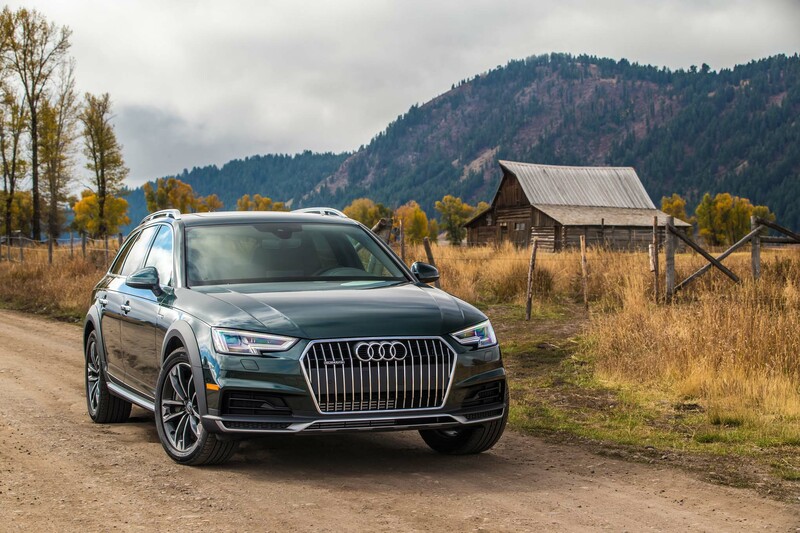 It’s the sort of car that appeals to the likes of John Carney, who spent summers on his family’s Sublette County ranch before studying architecture at Stanford and Harvard. 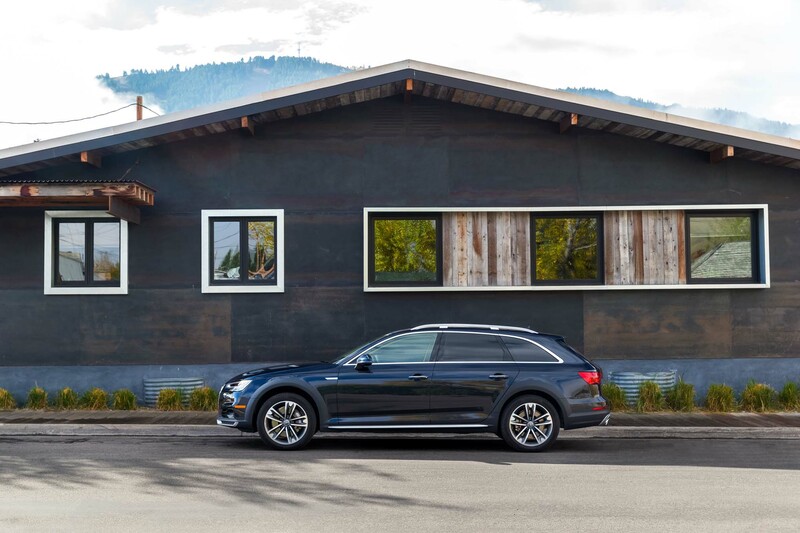 Audi borrowed the 3,200-foot, two-level, cedar-and-glass main house of Fish Creek Compound, the home John and Elaine Carney designed, and took their recommendation to bring in chef René Stein for an amazing autumn-themed banquet that included a second course of poached egg with hen-of-the-woods mushrooms, then an entremets of sorrel sorbet. 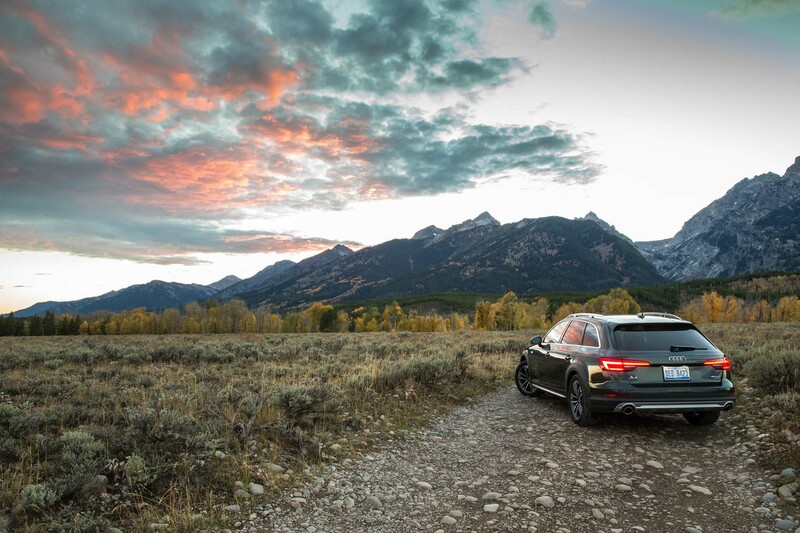 With so many mushrooms, an epiphany was called for. 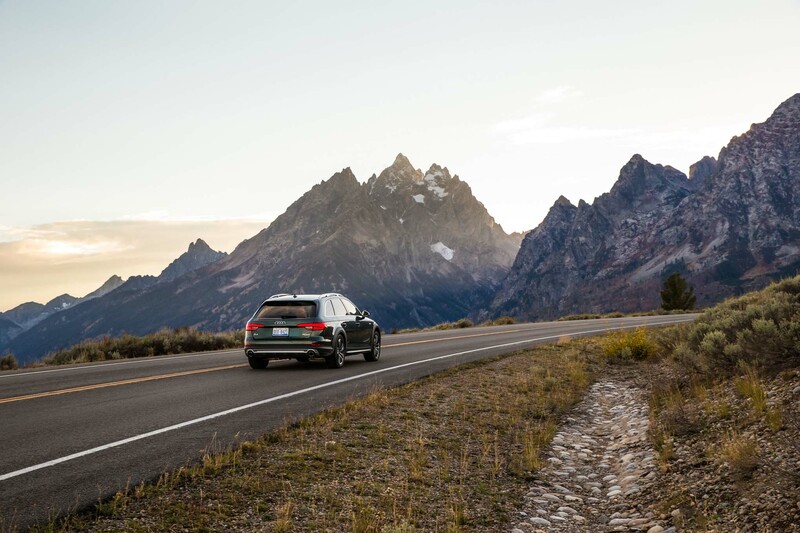 The best we could do, though, while trying not to slurp the riesling, was to appreciate the twilight view of Snake River Ranch in the valley and the Sleeping Indian mountain beyond. 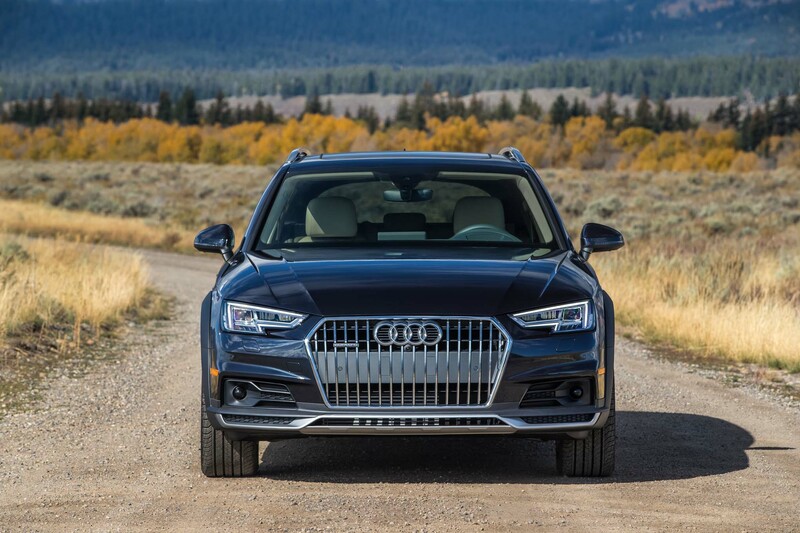 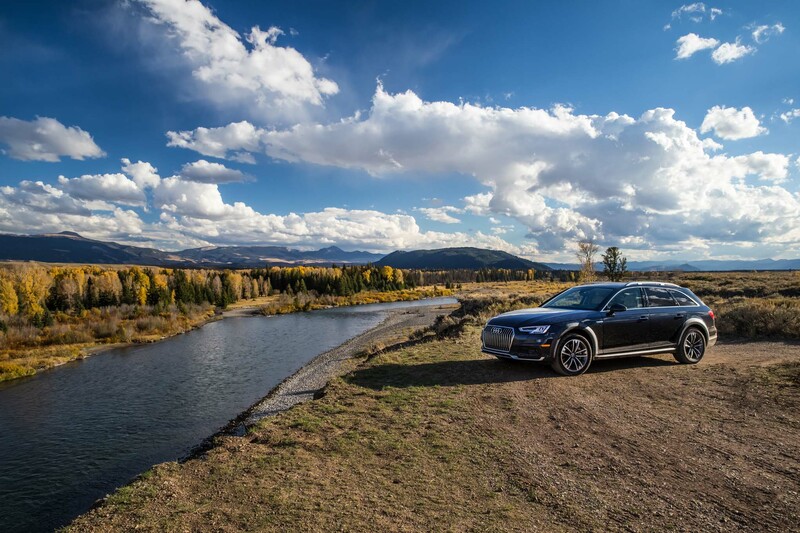 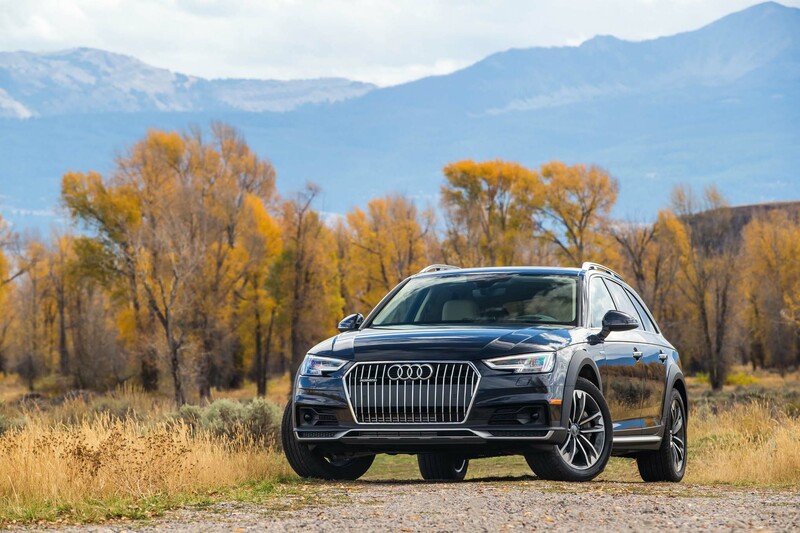 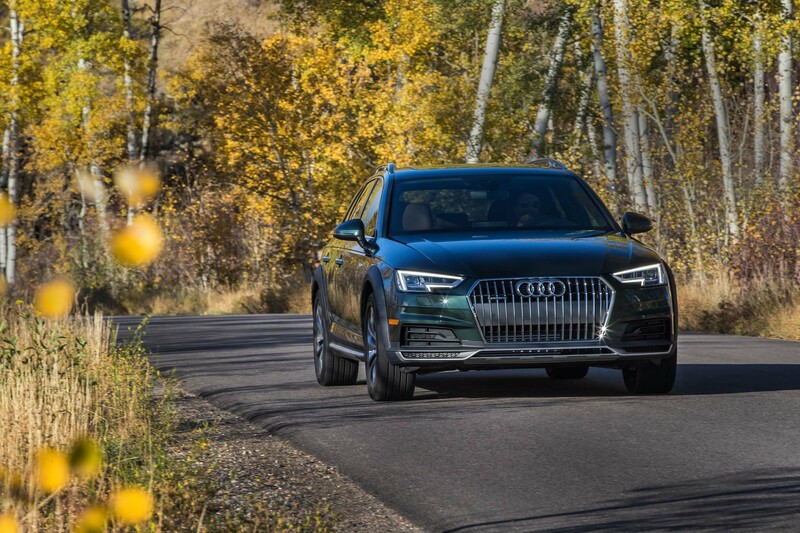 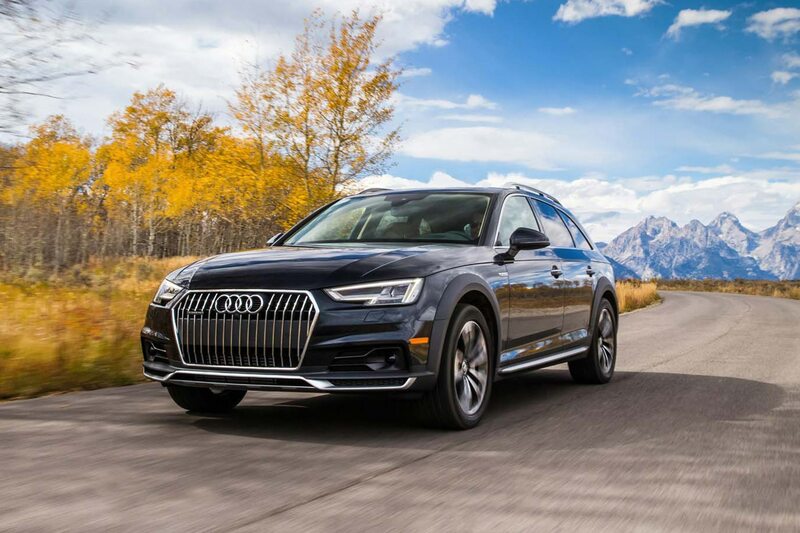 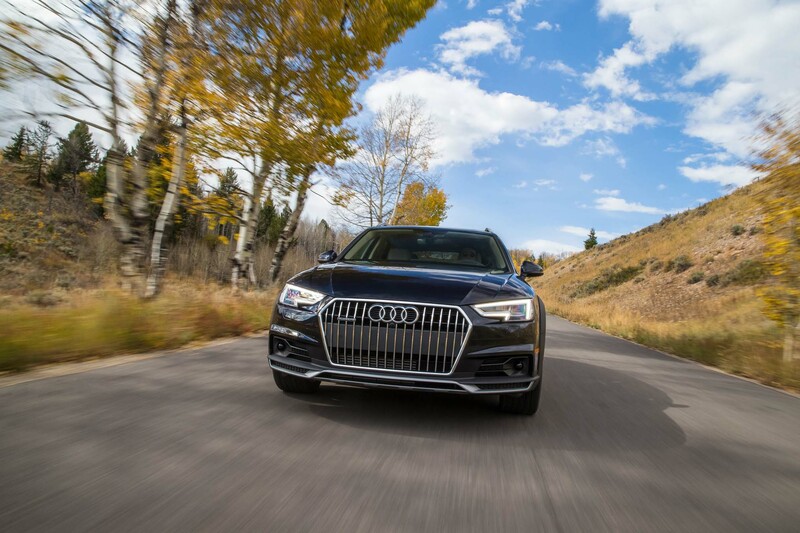 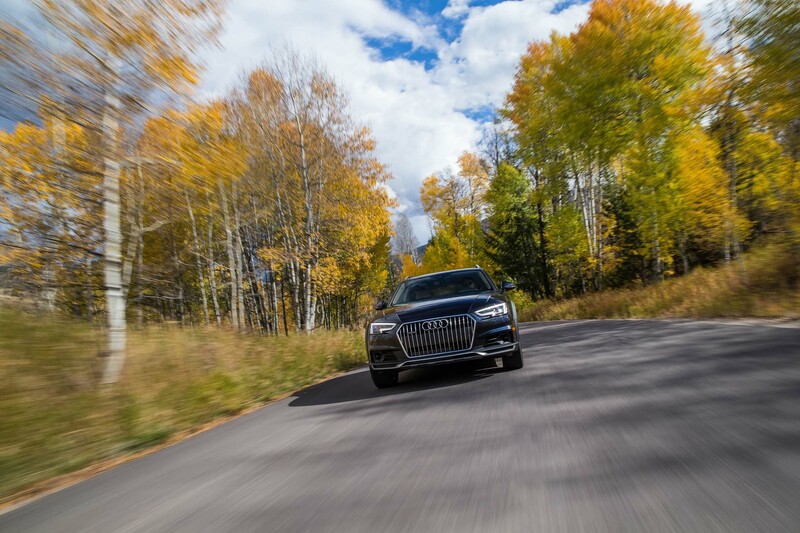 Just as we had loved our time in the 2017 Audi A4 Allroad, we savored this moment. 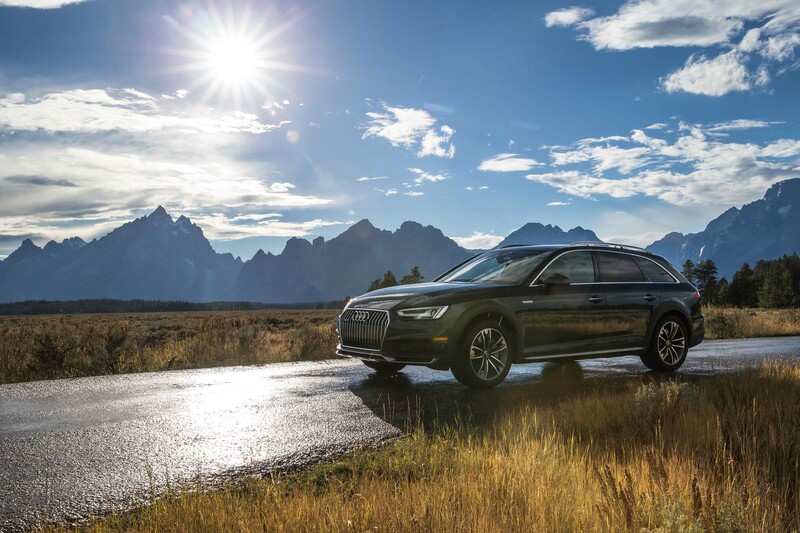 Later, when we spoke, Carney mentioned owning an earlier model Allroad and his $500 deposit on the new one. 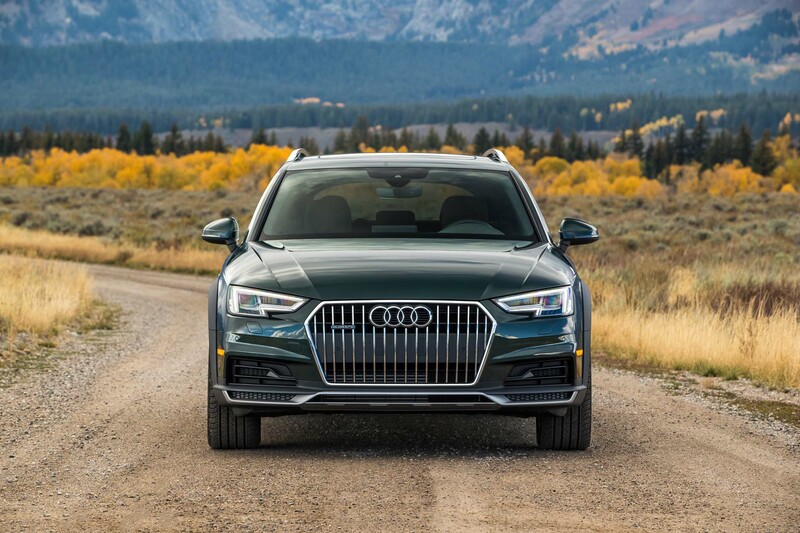 “Hopefully,” he said, “I’ll be driving one of those things pretty soon.” He’s with us in being glad Audi sticks with this niche product, an expression of its very soul.